As always, our main consideration when taking photos is light, and there are definitely some great shots that can be taken in low light, but, for the most part, you’ll be taking landscape shots between sunrise and sunset. So, that brings us to our specific considerations for landscape photography – focal length and depth of field. 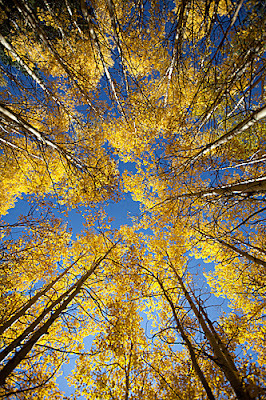 For really great landscape photos, your best bet is to use your widest focal length. Lenses are considered Wide Angle between the focal lengths less than 50mm. The wider the better- even try a fisheye! The other important consideration for taking landscape photos is aperture. While you want a wider aperture (larger opening) for portraits, you want to close down for landscapes. The smaller the aperture, the larger the depth of field you’ll achieve, meaning that more will be in focus. I’m very OCD about tilts in general, but especially when I can see the horizon. The horizon should be straight! Also…watch for other leading lines. Make them your best friend and draw your audience in. I love repetitive lines and always try to position myself to take the shot from the angle I want to draw the viewer’s eye into the interior of the photo, as opposed to off the page. Drawing the eye out of the photo and onto the page of your scrapbook is a fun idea as well, but just make sure you’re aware of what look you’re intending. 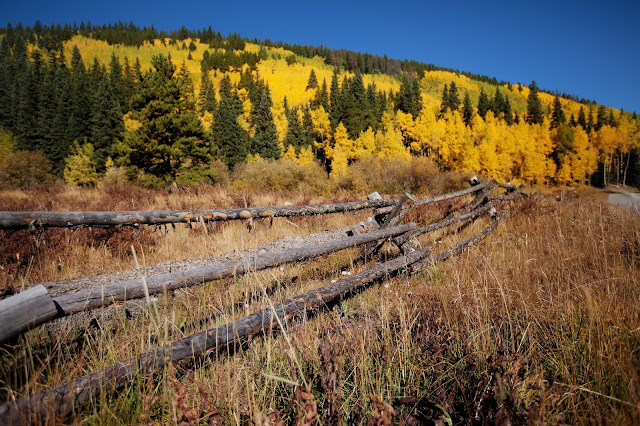 When using a wider angle and a larger depth of field, you’ll see what is in the foreground. Look for interesting ways to frame your shots. 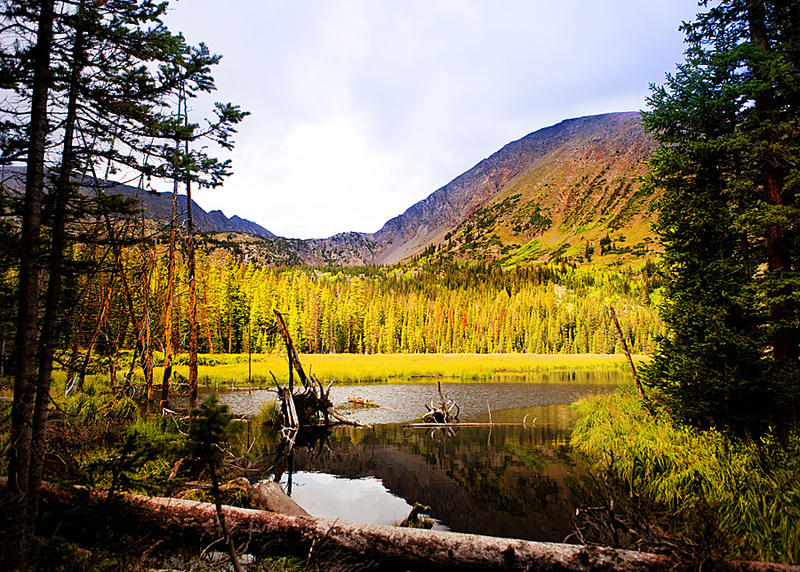 Recently, I’ve come to love my Lensbaby Composer Pro for landscapes as well. Anything fun and unique and you’ll make your pages sparkle! Look up, look down, look all around you. Many times the scenery around us is even more beautiful from unusual angles. Grab the details or go minimalistic. Tell a story with your photos. 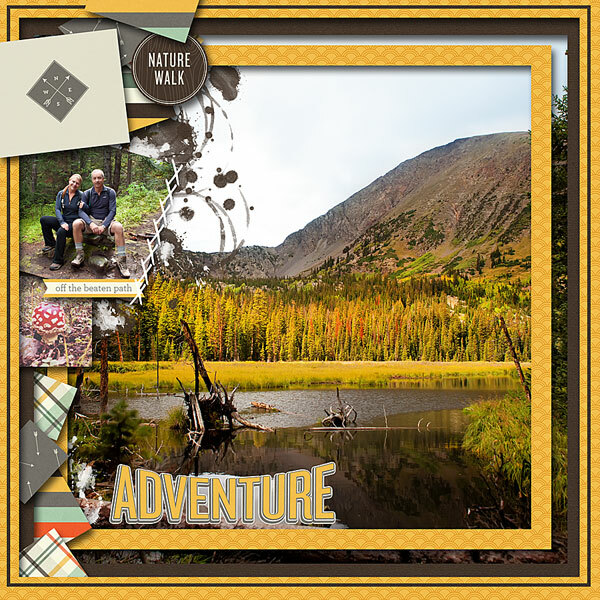 To scrap my recent hiking trip in Breckenridge, I used the Happiness Loves Company templates from Jimbo Jambo Designs and One Little Bird's Trailblazer kit.